Dr. Linda McGillis Hall is the 2017 CASN Pat Griffin Scholar Award winner! - Canadian Association of Schools of Nursing / Association canadienne des écoles de sciences infirmières (CASN / ACESI). Dr. Linda McGillis Hall is the 2017 CASN Pat Griffin Scholar Award winner! Home » Dr. Linda McGillis Hall is the 2017 CASN Pat Griffin Scholar Award winner! The winner of the 2017 Pat Griffin Nursing Education Research Scholar Award is Dr. Linda McGillis Hall. Dr. McGillis Hall is a leading nurse researcher in Canada, and is known nationally and internationally for her work on the transition in Canada from the CRNE to the NCLEX-RN® exam, specifically the effects of the exam on students and the implication for Canadian educational institutions. In addition to her research, Dr. McGillis Hall is closely involved with graduate student supervision, and many of her students have since gone on to successful careers. She has a reputation for continuing to mentor past students as they develop independent research programs and academic careers. Dr. McGillis Hall’s work in the area of pedagogical development of her faculty at the University of Toronto is outstanding. 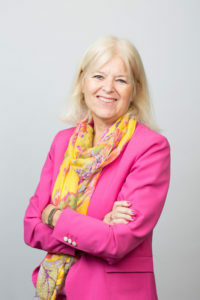 She is known for her strong teaching record at the undergraduate, graduate and post-graduate levels, and has been intimately involved in program development, all of which led to her being named the Kathleen Russell Distinguished Professor at the University of Toronto. Finally, Dr. McGillis Hall has a robust publication record with over 90 peer-reviewed/refereed publications and 50 peer-reviewed funded projects. Dr. McGillis Hall will receive a $10,000 grant to promote her nursing education research through inquiry, mentorship, and dissemination. Dr. McGillis Hall’s contributions to research in nursing education will be addressed when she delivers the “Pat Griffin Annual Lecture” at the 2017 CASN Council meeting. Congratulations Dr. Linda McGillis Hall! !